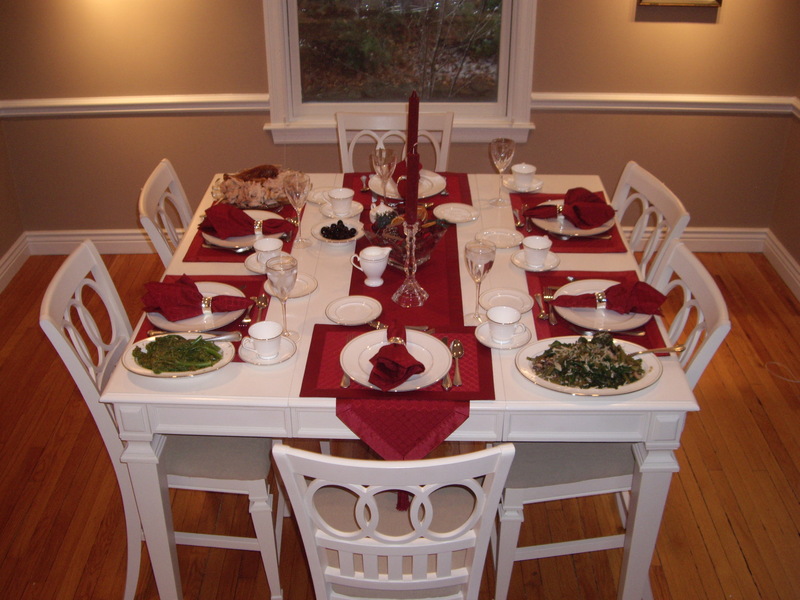 This was the DH’s and my first time hosting Thanksgiving. It was a very appealing alternative to driving 7 – 9 hours for Thanksigiving, especially since Thanksgiving Day was our wedding anniversary! Being the domestic gal that I am, I was much happier taking two days to work in my bright and cheery kitchen! Like usual, I probably tried to do too much. But, I managed to stay focused and it came together beautifully. Overcooked the broccolini, but not too bad given that the majority of these recipes were brand new to me! (And, DH and I got to serve on our wedding china – the 2nd time we’ve been able to use it since we were married 4 years ago. He could care less, but I was thrilled). There will be recipes and pictures to come. 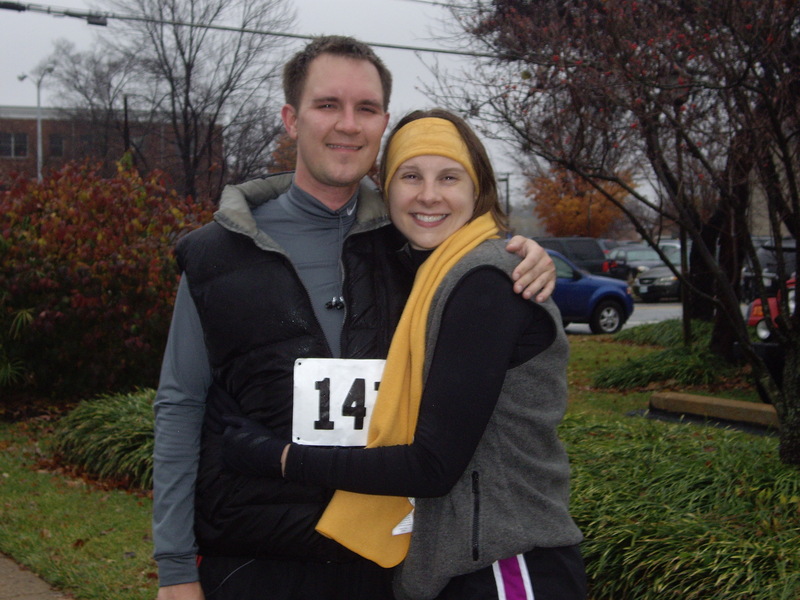 In the meantime, I leave a pic of DH and I after finishing the 5K Turkey Day run. Official time was less than 29 minutes – FOUR minutes better than my first 5K last year! Still smiling despite all of the hills!